Orobie Bergamasche Park is safeguarded as "Parco montano forestale" (Forest Mountain Park). It includes the southern slope of the Orobie chain, in the Province of Bergamo, and covers an area of 63 thousands of hectares. In its territory, the rivers Brembo, Serio, and Dezzo cross Brembana, Seriana and di Scalve Valleys, while many tributaries cross the lateral valleys. 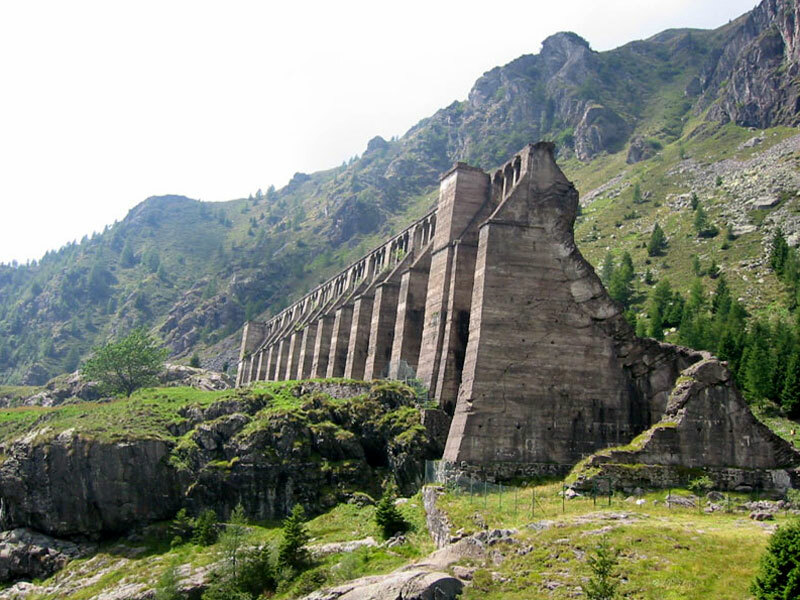 The Park is delimited in the west by the deep Valsassina, in the north by Valtellina, and in the east by Valcamonica. It includes part of the territory of 44 Municipalities; these towns belong to three Mountain Communities: Valle di Scalve, Valle Brembana, and Valle Seriana Superiore. The Park territory can be geographically divided in two areas with very different features. Its northern section is made of a mountain chain - Alpi Orobiche - whose peaks run more or less parallel to Valtellina. These mountains are made of dark and ancient sedimentary-continental or crystal-like rocks which have almost always undergone to metamorphosis. They reach the maximum altitudes in Pizzo Coca (3,050 meters), in Pizzo Redorta and on the summit of Scais (3,038 meters). There are then other summits of great importance: Pizzo dei Tre Signori, the wide ridge of Mt. Cabianca, the wonderful pyramidal bicuspid of Diavolo di Tenda, Mt. Gleno shining for its perennial glaciers, Mt. Venerocolo, and Pizzo Tornello. In the south, the Park is made of mountain groups consisting of clear rocks, mainly calcareous and dolomitic rocks of ancient marine origin. They are Prealpi Orobie, mainly forming isolated mountain groups: Aralalta (2,000 meters), Arera (2,512 meters), Presolana (2,521 meters), and Campelli di Schilpario groups. This great variety - from the dark and harsh mountains of the central group of Orobie to the white dolomitic cliffs - cheer up the hiker who wants to get surrounded by an environment offering restoring silences, wonderful local flora and fauna, and towns characterized by a way of life on a human scale. One of the most amazing aspects of the Park territory is the abundance of superficial waters. Brooks, streams, and rivers originating sometimes from small glacial basins and which in the upper sections of their course form foaming waterfalls, some of which have become part of the environmental, economic, and tourist "history" of the local valleys. The waterfall of the river Serio in Valbondione, which with its triple drop of 315 meters is the highest one in Italy, or the waterfall of Val Sambuzza in Pagliari di Carona, as well as the waterfalls you can admire in Valle di Scalve, along the stream Vo, which are not less beautiful; rivers and streams which sometimes run between picturesque ravines dug into the rock throughout the centuries, like those of Dezzo in Valle di Scalve (Via Mala) or those of the stream Enna, at the entrance of Val Taleggio. And then, over one hundred lakes scattered at medium and high altitudes: jewels set among woodlands and steep cliffs, natural lakes and artificial lakes created by man to produce electric energy. Among the others: Barbellino Lake, Coca Lake, Venerocolo Lakes, Polzone Lakes, Fregabolgia Lake, Gemelli Lakes. Settlements have often been created along the watercourses: as a matter of fact, this resource was exploited not only to produce food, but also to water animals, to move the wheels of the mills, sawmills, and power hammers. High-mountain rivers and lakes make the landscape beautiful and, in summer, are the ideal destination for thousands of hikers. In the Park, fishing is allowed, provided that it respects the rules established by the regional act 25/82. The clearest and purest waters of streams, rivers, and lakes are the realm of the Brown Trout and the Arctic Char. Given the variety of its exposure, the richness of its superficial waters, and its considerable altimetric variations, the environment of Orobie Park is characterized by several arboreal and flower species. The mountain slopes between the 600 and 1,500 meters are dominated by beech trees which grow together with hornbeams and hazelnut trees, alders, ash trees, and birches. Beyond the 1,000 meters there are conifer woods. Here, the Spruce Fir is the dominating species and forms pure woods or mixes with the beech tree. The altimetric limit of the conifer woods gets to 2,000 meters in Valle Brembana, 1,850 meters in Valle di Scalve, and 1,700 meters in Valle Seriana. In the wettest valleys (for instance in Torcole di Piazzatorre) there are also Silver Firs, while the Larch is the dominating species at the highest altitudes. Beyond woodlands, there are the grazing lands which are sometimes still used for the breeding activity. The alpine flora is wonderful, at any altitude. In the area consisting of rocks and acid soils we should mention, besides rhododendron shrubs and bilberry small plants, two particular endemic species: Viola comollia and Sanguisorba dodecandra. 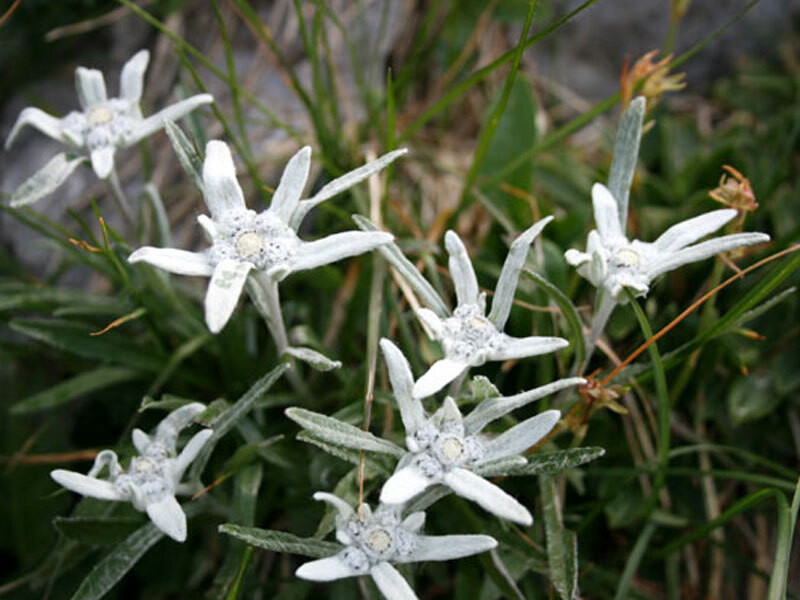 However, it is in the altimetric strip of the calcareous Prealps that we can find all the local varieties of flora. Here, besides junipers, mugo pines, and alders, in the grazing lands, among screes and rocks, it is possible to admire several endemic species: among the others, Saxifraga presolanensis, Campanula raineri, Linaria tonzigii, and the Yellow Spring bedstraw of Mt. Arera. 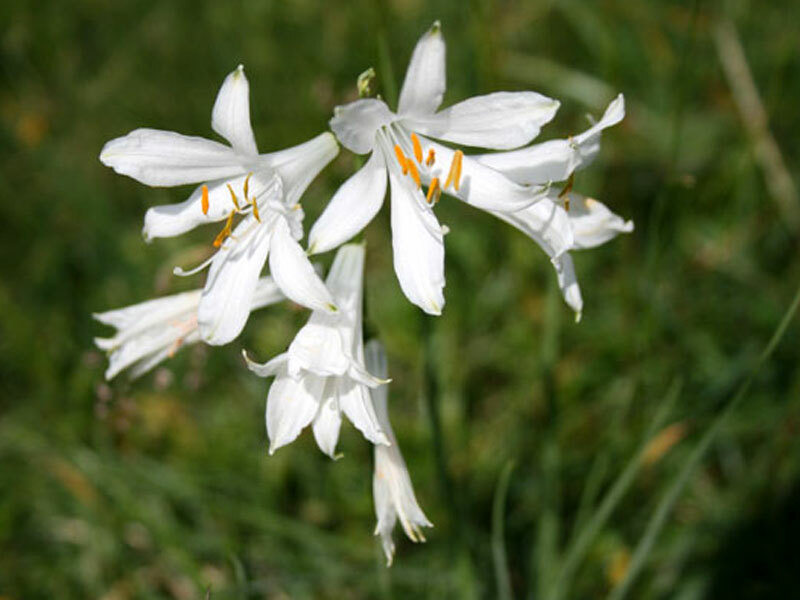 Hikers will be amazed by many "surprises" and "meetings" along the way: meadows, woodlands, trails, and grazing lands are covered, according to the season, with daisies, yellow buttercups, cyclamens, Martagon lilies, orange lilies, edelweiss, Alpine asters, orchids, and many other flowers. A great variety of colors and perfumes to discover, admire, take photos of, but above all to respect. Some species are protected by precise rules - and offenders will be prosecuted - but all of us must safeguard all kinds of flora, to give also to hikers who will go along the same trail after us the possibility to feel the same emotions and sensations. 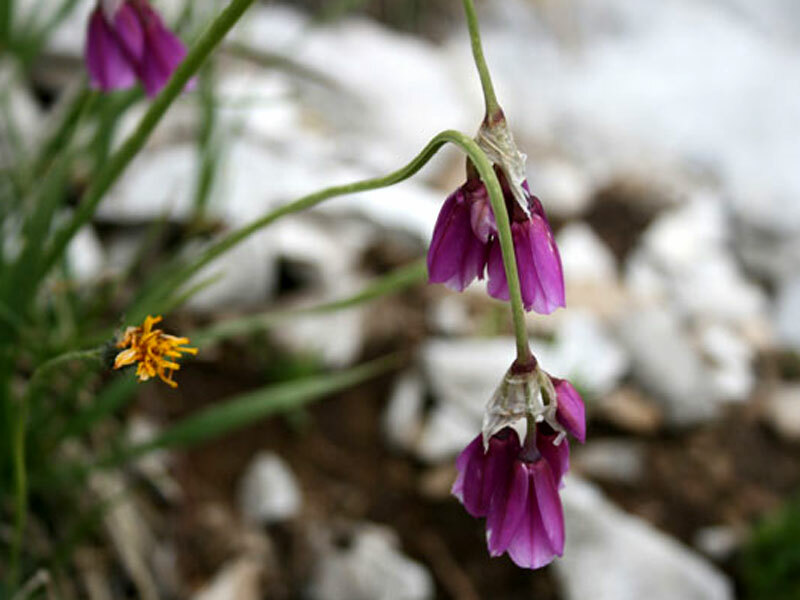 Some itineraries have been created to give the opportunity to admire a great variety of alpine flowers from close up. Among them, the "Trail of Flowers" on Mt. Arera, created by professor Claudio Brissoni, and the "Naturalistic Itinerary" of Cai di Bergamo which from the mountain hut Antonio Curò, above Valbondione, leads to the mountain hut Nani Tagliaferri, in Valle di Scalve. The territory of Orobie Bergamasche Park is populated by several different species of wildlife. In recent years, the number of ungulates has considerably increased, in particular as far as roe deer and chamois are concerned, while the number of resident game species like the Rock Partridge has reduced: the latter has suffered a lot because of a progressive change of its habitat due to the abandonment of high-mountain grazing lands and to an excessive human presence in the mountains. The increase in ungulates depends on different causes: the establishment, years ago, of wildlife sanctuaries or repopulation areas where they had the possibility to reproduce, the thickening of the woodlands caused by the abandonment of the mountains - which also led to the relevant reproduction of roe deer - and the appearance of the first groups of deer. The increasing presence of these animals has contributed without a doubt to a greater severity in the planning of the hunting activity and has promoted a greater civil awareness and respect towards nature. 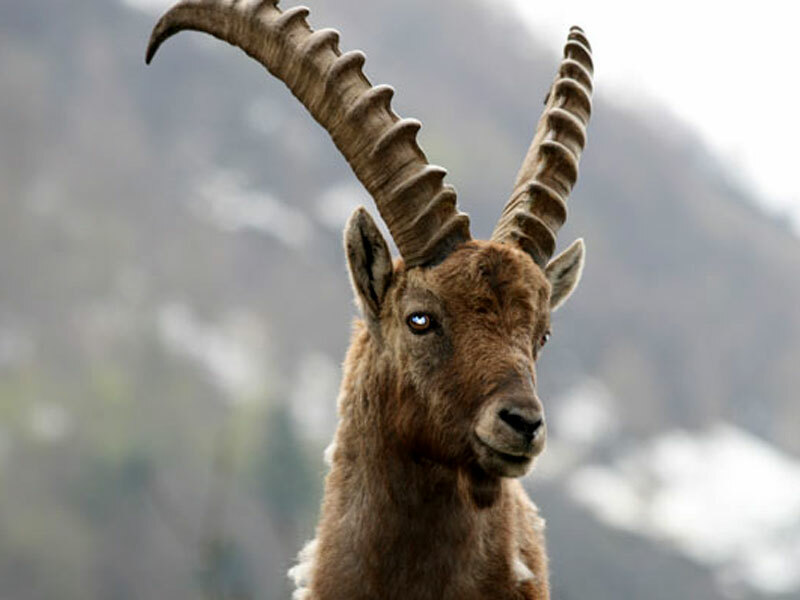 Chamois also live in large numbers in Valle Brembana, in upper Valle Seriana, and in Valle di Scalve. Those living in Valle Brembana also populate the woodlands, while in Valle Seriana and Val di Scalve they prefer the rocky areas. There are then the roe deer, which have found their ideal habitat above all in the coppice woodlands. They feel at ease at night, and it is difficult to sight them during the day. The ibex has come back to live in the Park since some years. It was reintroduced between 1987 and 1990 thanks to a project carried out by Regione Lombardia in collaboration with the Province of Bergamo and with the Biology Department of the University of Milan. This superb ungulate lives in the mountains of upper Valli Seriana and Brembana and at the moment there are more than 400 individuals. The Park is also populated by squirrels, foxes, weasels, beech martens, martens, ermines, and white hares. In the alpine grazing lands, the marmots have rapidly increased and, as a consequence, also the number of Golden Eagles has grown, since marmots represent their ideal preys. Among the other birds of prey we should mention Hawks, Buzzards, Kestrels, Kites, and Crows which usually follow the migration flows. Among the nocturnal birds of prey, Owls, Barn Owls, and the rare Eagle Owl. Only a few species of flying game have the possibility to stop in the mountains during the winter. Among them, the Snow Finch, the Hazel Grouse, the Alpine Rock Ptarmigan, the Rock Partridge, and the Black Grouse. All these species are reducing their presence, and the Capercaillie is also very rare. Among the reptiles there is the viper (dangerous for man only if directly bothered), the blindworm, and the water snake. Among the amphibians there are the frog, the yellow and black salamander, and among fish the trout and Arctic chars. Several the insects populating meadows, woodlands, and grazing lands. Among them, we remind the red ant, very useful for the survival of conifer woods. As a matter of fact, it is the worst enemy of the Pine Processionary Caterpillar and builds, in the woods or at the edges of the clearings, wonderful dome-shaped nests made of a great quantity of pine or fir needles. Today, the area of Bergamo is very industrialized and the ways of communication are increasingly busy with motor vehicles. However, these streets, in June and September, are often interested by the very ancient phenomena of cattle (sheep and cows) going to or coming back from the summer grazing lands. In Orobie, the time of the summer grazing usually begins in June and ends in September, with an average period of eighty or eighty-five days. In the Park territory, grazing lands are not regularly distributed. Valle Brembana is characterized by big concentrations in Carona, Foppolo, and Mezzoldo; Valle Seriana in Ardesio, Gandellino, and Valbondione; Valle di Scalve in Schilpario and Vilminore. During the summer grazing period, the mountains are populated by persons used to silence and loneliness, who for three months experience a life without any comfort. But today the situation is different from the past one: many mountain huts have been restored, are provided with water, electric energy produced with solar panels, hydroelectric generators or turbines, rooms for milk processing, and toilets. Roads along which you can travel by jeep enable an easier connection with the towns lying at the bottom of the valley and also modern technologies are now widespread, for instance mobiles, which make easier a situation which in the past was characterized by absolute isolation. The grazing lands of Orobie, the 53% of which are municipal properties, were abandoned in the 1960s. This phenomenon led to the deterioration and often also to the collapse of several characteristic mountain huts, and an increasingly presence of stones and vegetation in the grazing lands. Fortunately, a subsequent phase characterized by the recovery and enhancement of this heritage followed. In Valcanale, in Ardesio, there is for instance an extremely interesting experimental project: the Provincial Administration of Bergamo, owner of the grazing land "Alpe Nevel", recovered the mountain huts and is carrying out research activities on cheese production and on high-mountain forage herbs. Dairy products are excellent products coming from grazing lands. Cooperatives were born to relaunch products like butter and cheese: Branzi, Valtorta, Valle Taleggio (S. Antonio), and Vilminore di Scalve. Moreover, there are also entrepreneurs who have been able to place their products on the market and entrepreneurs who opened farm holidays.